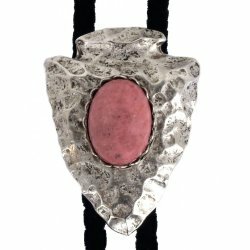 Rhodonite is named after the Greek word for rose, rhodon. Its beautiful pink color often has black manganese oxide veins running through it, creating a distinct appearance. In the 18th century it was used extensively to decorate the Russian court. Rhodonite is believed to stabilize the emotions by soothing and bringing order to feelings.